We would like to welcome Dan MacDonald and Doug Clark to the Pipe Corps, and recent additions of Lena Binnington and Mike Dickinson to the Drum Corps. 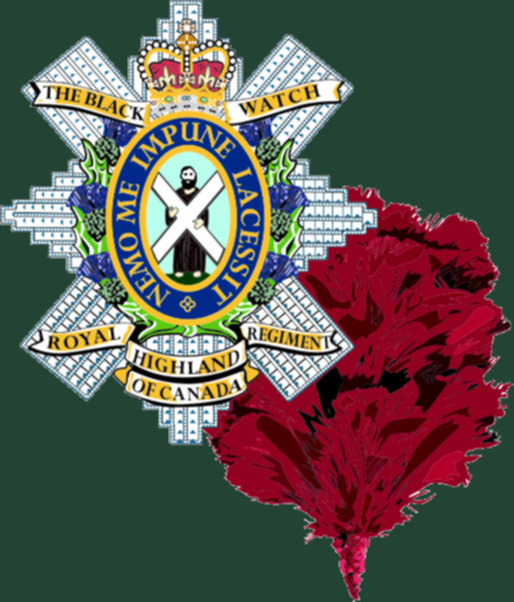 Plans are well under way for the 150th anniversary celebrations for The Black Watch (RHR) of Canada in 2012. One of the events planned or at least in the planning stage, is a reunion of former pipers and drummers of the regiment. One of the thoughts is to create a massed pipe band of over 100 pipers for church parade. If you want to be kept informed of this event, please contact current or former members who may be on Facebook. A separate Facebook page and group has been set up, but you must be added by a current member. You can contact either our Band Manager or Treasurer. The band held its first Patrons' Dinner at the York Reception Centre. The Band subsequently thanked all their patrons at a dinner held at the York Reception Centre in Toronto on Oct 21. A total of 80 people were in attendance with another 25 sending their regrets due to other commitments or as was the case for the patrons on the East and West coasts, the distance in travel required. The dinner was kept on track by the Master of Ceremonies for the evening, Drum Major (ret) Larry Fullerton from the 48th Highlanders of Canada. His MC talent along with the Band performing superbly no doubt went a long way to encourage audience participation in the silent auction of donated products helping to move the kitting of the band another step forward. John Birkett was one of the patrons who donated some items for the auction. In his case it was a couple of bottles of rare wine about which he gave an informative and light hearted talk on the positive aspects of wine in general and the two bottles in the auction in particular. Amongst the other attendees in the audience was LCol. Bruno Plourde. The CO made a special trip up on the afternoon of the dinner and headed back to Montreal that same evening. We certainly have a CO that “goes the extra mile” with his support of Family functions! Also, our Association Patron, Col. Steve Angus and his wife Pam along with our Immediate Past President, Bill Davis and his wife Shirley made the trip down from Erin and Bancroft respectively to be with us. The Honorary LCol. of the Regiment, LCol Dan O’Connor, could not join the Band for the evening but he sent along a letter with his congratulations to all the members of the Band which Larry read from the podium. Pipers from the band recently entertained a group of veterans from Sunnybrook Hospital. The event occurred at the Port Credit Army and Navy club. A good time was had by all. Pictures can be found on the Facebook page. The band appeared at the Celtic Festival in The Beaches. Two appearances were made that day and the music and the band were well received. The band made its final appearance as the Cabbagetown Pipes and Drums in the annual Cabbagetown Festival Parade. The TBWA Pipes and Drums made their first official appearance and played two sets for a very appreciative audience. The Band was presented with four kilts. Gerald Achtenberg, William Landry and Colin Grinstead (the latter presented for him by David Willard) and Drum Major (retired) Cal Wilson for Pipe Major (deceased) Hannah (presented for Cal by Bill Carlisle) formally loaned their kilts in trust to the Band, the TBWA and the Regimental Family. The Band in turn presented the TBWA with a ceiling tile that will be installed in the ceiling of the RCL Branch in which they practice. The tile is in tribute to all who served in the Black Watch RHC.